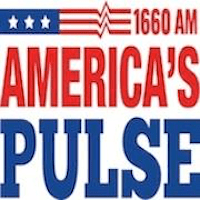 Beasley Media will flip Sports “CBS Sports Radio 1660” WBCN Charlotte to Conservative Talk “America’s Pulse” on Tuesday, September 8. The Charlotte Observer reports that advertisers and marketing agencies have already been alerted to the upcoming change despite no-comment from Beasley’s Operations Manager D.J. Stout. The new station’s website is already live indicating the station will feature a completely syndicated lineup of This Morning with Gordon Deal from 5-9am, Glenn Beck from 9a-12pm, Laura Ingraham from 12pm-3pm, Sean Hannity from 3-6pm, Mark Levin 6-10pm, Ground Zero with Clyde Lewis 10pm-1am, and Red Eye Radio overnights. WBCN has been carrying the CBS Sports Radio network feed since its launch in January 2013. Before that it was Conservative Talk “America’s Talk 1660“. WBCN will give Charlotte its second Talk formatted station joining Greater Media’s 1110/99.3 WBT.